The Last Kingdom and Bernard Cornwell fans have been on the edge of their seats waiting for news. The historical drama has been through quite a few ups and downs getting to this point. The third season of the fan-favorite is slated to be available to stream on Netflix sometime in 2018. After originally airing on BBC2, the future of TLK hung in the balance until Netflix stepped in to take the reigns. Netflix announced that TLK Season 3 would be available to stream later this year. The death of Earl Ragnar set The Last Kingdom in motion. The fundamental theme throughout the first two seasons was revenge. As the driving force of the plot, viewers waited for the sons of Ragnar to avenge his death. There are certainly other themes surrounding the show, but none are as unifying as this need for revenge. Being born a Saxon and raised a Dane, the culture clash that Uhtred wrestles with is certainly another ongoing plot point. That said, even when his loyalty was tested, Uhtred was always committed to helping his brother Ragnar kill the man that took their father’s life – Kjartan. What awaits Uhtred in Season 3? Last fans saw of Uhtred, he was helping to dispatch the invading army of Sigefrid. As it often does, love softened the heart of Sigefrid’s brother Erik. Erik fell in love with the captive Aethelflaed. This led to a split in the brothers’ united front, and that fracture led to Sigefrid taking Erik’s life. Sigefrid’s remaining army faced off against Uhtred, King Alfred, and the rest of the Saxons. Though they secured the victory, it was bittersweet. Odda the Elder was imprisoned for defying orders and rallying those loyal to him against the invading army. Odda the Elder met his end by his own hand, rotting away in a jail cell. 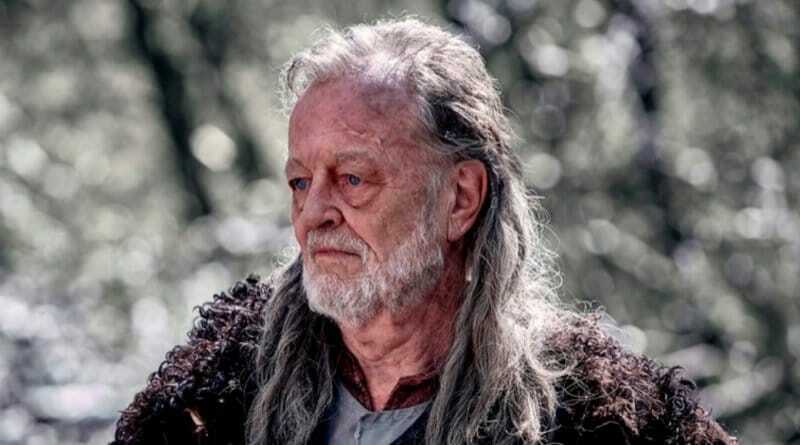 A very special guest will be appearing in #Season3 of #TheLastKingdom. According to Winter Is Coming, Bernard Cornwell’s character will cross paths with Uhtred at some point in The Last Kingdom Season 3. As shown by the Twitter post above, this will no doubt bring about a slew of “meet your maker” jokes. While fans are certainly excited to see this take place, the website notes that this isn’t the first time that a creator has taken part in his creation. While it didn’t ultimately make the final cut, author George R.R. Martin had a cameo in the first episode of Game of Thrones. Martin played a merchant during Daenerys’ wedding to Khal Drogo. Fans waiting for The Last Kingdom Season 3 can get a copy of the latest book in the series. War of the Wolf: A Novel is out now. Come back to Soap Dirt for the latest The Last Kingdom news and spoilers.